If you want to increase the number of impressions you make through digital marketing, you might want to implement new search engine optimization (SEO) efforts. This practice can assist you in creating well-written content that can provide readers with educational information on which they can base their purchasing decisions in the future. However, along with high-quality content, you might want to take into account other SEO best practices that can also lead to higher lead generation and conversion rates. Google offers a significant amount of search engine optimization tips to its users, and when you keep abreast of these evolutions in technology, you can improve your online marketing efforts exponentially. Recently, a new upgrade was unveiled for Google Webmaster Tools. The feature will allow users to understand how many of their pages of their websites are included in Google’s index. The new option can be accessed by visiting the Health menu, and once there, users will find a graph with a year’s worth of data. The tab will show the total of all URLs on a crawled website. If you need to delve deeper into the option to discover potential crawling or indexing issues, you can visit the Advanced tab to see how many pages Google has visited, knows about but won’t index because of issues, and has chosen not to index due to other flaws in SEO design. This is just one example of a new feature unveiled by Google, geared to help users optimize their web pages to the best of their ability. When it comes to online marketing, you need to make sure your brand can be found easily on the web, and SEO can be the solution. 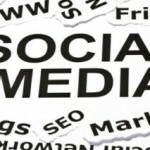 How has SEO influenced your marketing in 2012?